How do I know if students can view/access my Playlist? Playlist visibility is set from the Edit Playlist page (accessible from the Create page). From that page you can choose whether the Playlist is hidden or released. If the Playlist is released, students enrolled in any of your sections will be able to view and access the Playlist. If hidden, students won't be able to see the Playlist at all. 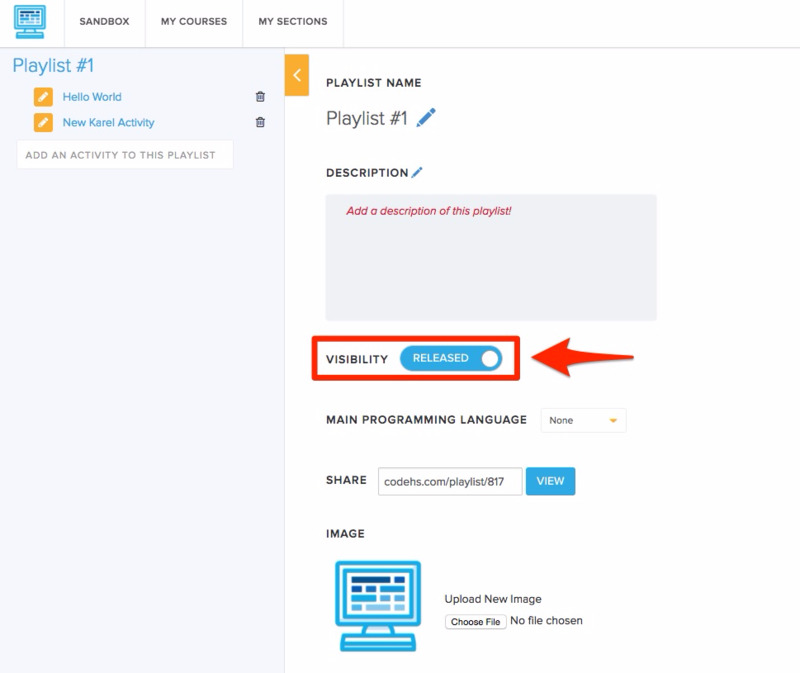 Once visibility is set, you can see the visibility status for each of your Playlists from the Create page.